Learn the story of the International Buddhist Temple. 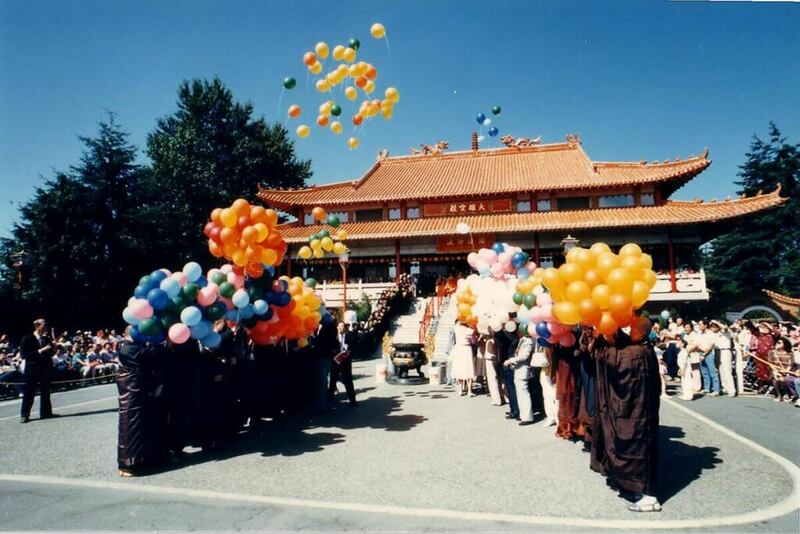 The International Buddhist Society began construction of its temple in 1981, upon the soaring dreams and meticulous planning of many volunteers and donors. At the heart of the expanding temple and its growing community is the Venerable Guan Cheng, the abbot and one of the founders of what is known as the International Buddhist Temple. Our temple is not only constructed according to the traditional Chinese imperial style, but every structural detail and every object of art it showcases are also authentic expressions of impeccable Chinese craftsmanship. The magnificence of the temple, in the serene environment it creates and the esteemed work that is done both within and beyond its walls, has earned the International Buddhist Society many awards and praise over the years. Nothing is as rewarding, however, as seeing our efforts slowly but surely improving the lives of those who have been inspired by the Dharma. Learn our values and teachings. The mission of the International Buddhist Society is to propagate Buddhism through its practice, and to educate all sentient beings on how to attain Enlightenment and purification of the mind. In general, Buddhism upholds the virtues of benevolence, perseverance, self-discipline, and charity. By living and studying Buddhism, we learn to be virtuous citizens while striving to free ourselves from the sufferings of reincarnation. The Society follows the Buddha’s teachings of philanthropy and selfless compassion by doing charitable work both locally and abroad. We also wish to enlighten all visitors to the temple, and enrich their lives with the philosophies of Buddhism through Chinese architecture, horticulture, painting, calligraphy, sculpture, and traditional ceremonies and rituals. Our temple provides a gathering place for people to experience Chinese heritage and Buddhist philosophy together, whether they come from Canada or across the world. The International Buddhist Temple is open to everyone, regardless of ethnicity, religion, nationality, age, or (dis)abilities. is – at least to that extent – wise. really deserves to be called a fool. Learn the history of the temple. As a charitable, religious, and cultural organization established in 1981, the International Buddhist Society manages the International Buddhist Temple (also known as the Guan-Yin Temple). 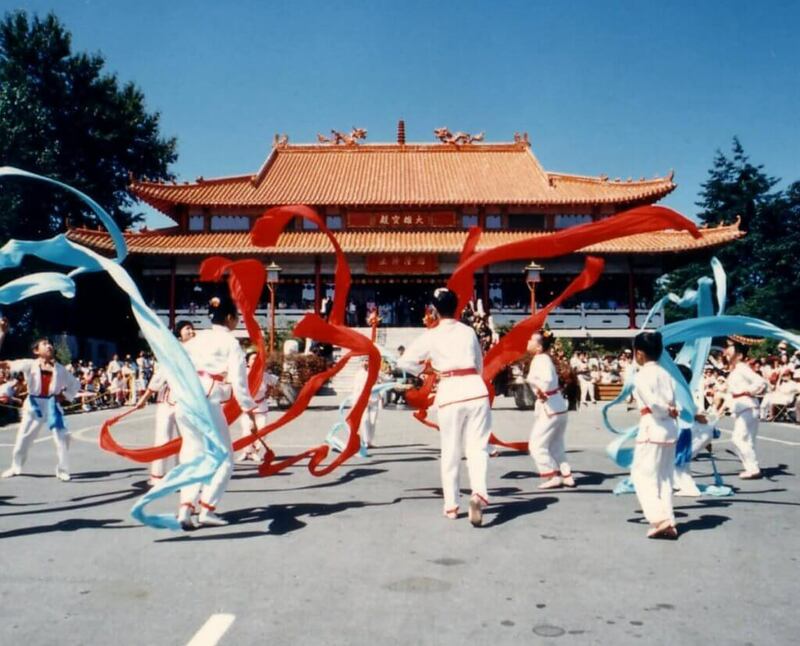 Until the temple’s opening ceremony in 1983, Buddhists in the Lower Mainland did not have an authentic Chinese temple in which to study and practice Chinese Mahayana Buddhism. It all began in 1979, when two devout Buddhists from Hong Kong helped found the International Buddhist Society and donated one acre of land in Richmond for the construction of an authentic Chinese Buddhist temple. They also provided CAD$300,000 as the initial building fund. Their goal was to establish an influential voice in North America for introducing and advancing Buddhist philosophy and practices. 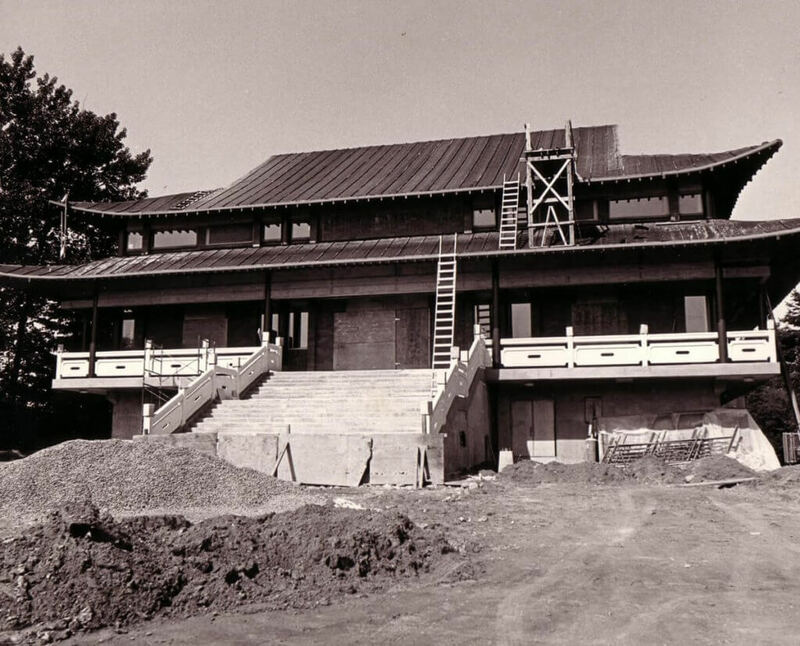 The International Buddhist Temple has six founding directors who were actively involved with managing the construction at the temple’s current site, which began in 1981. Through the founders’ persistent efforts, the Main Gracious Hall was completed in September, 1983. The temple then officially opened its doors to the public. Two years later, the Thousand Buddha Hall and the Ksitigarbha Hall (or Ancestral Hall) were also completed. 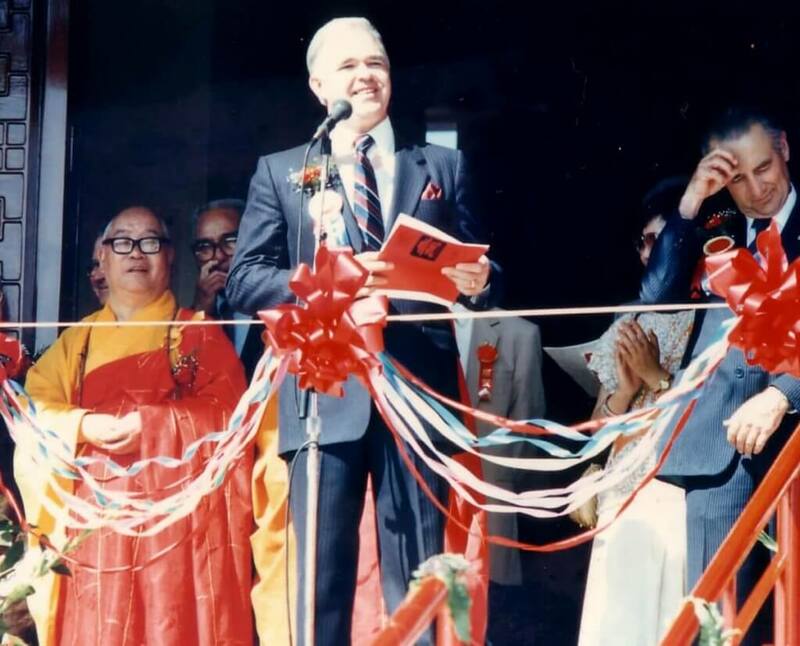 In 1986, the temple was officially inaugurated in a ceremony attended by thousands, including Richmond’s Mayor and Member of Parliament. 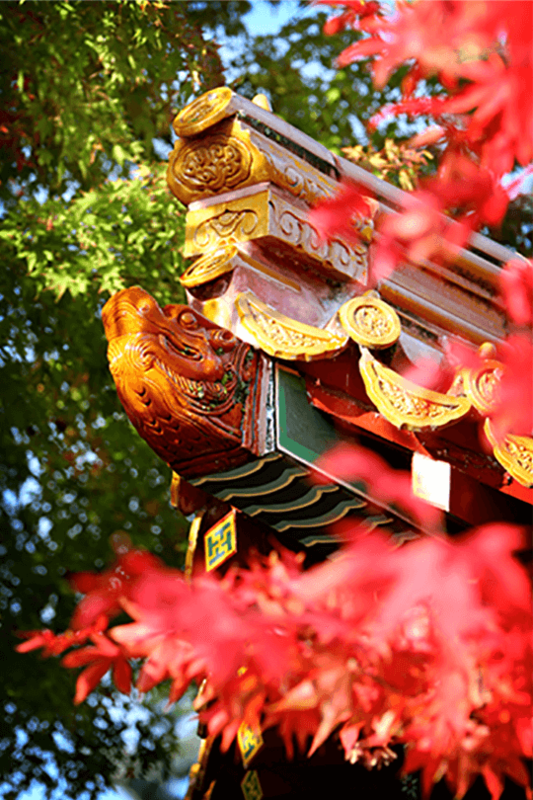 Throughout the years, the International Buddhist Temple has received tremendous support from the general public, and is recognized for bringing the Buddhist philosophy and Chinese cultural heritage to Canada and the West. This is particularly noteworthy as Canada takes great pride in its cultural and religious diversity. Learn about Venerable Guan Cheng. Venerable Guan Cheng is abbot of the International Buddhist Temple. The Venerable holds a B.A. in Economics and an M.B.A from the University of Toronto and was formerly an accountant by profession, with designations of Certified Management Accountant and Chartered Professional Accountant. In 1981, he founded the International Buddhist Temple in Richmond, British Columbia, Canada. 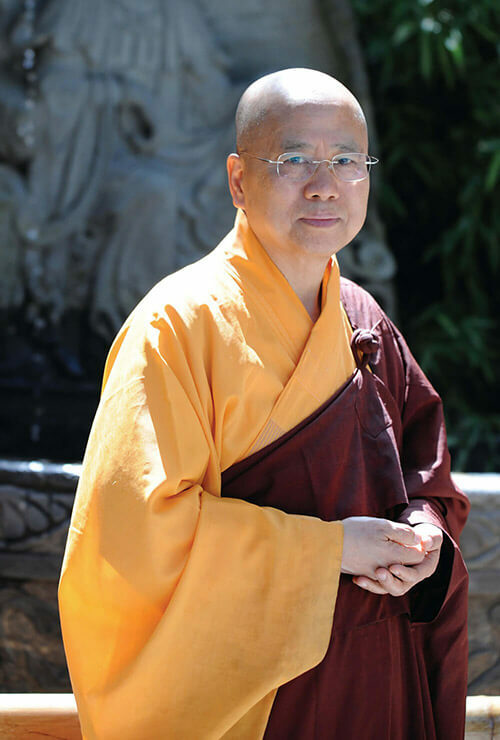 In 1999, he became ordained as a Buddhist monk under Venerable Xulang at Miaofa Monastery in the United States, and in the same year, received the triple platform precepts. Since then, the Venerable has travelled all over the world, holding lectures in different languages to promote the Dharma. Born and raised in Hong Kong, the Venerable’s natural affinity to the people of Hong Kong has made it a favourite place for him to propagate Buddhism. 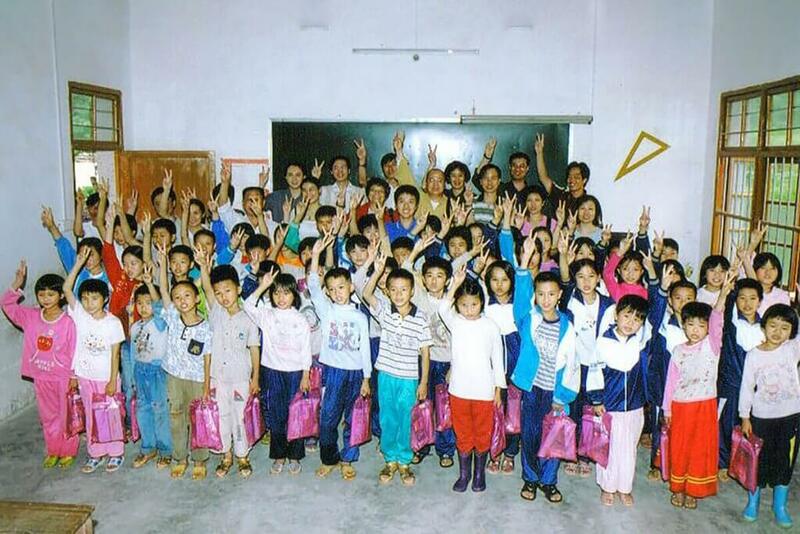 In 2010, he established the Vinaya Samadhi & Prajna Lecture Hall in Kowloon, Hong Kong, and has used it as a base to launch his charitable projects and activities in southeast Asia, such as Dharma talks, releasing live animals back to nature, helping educate children of the poor and alleviating poverty, taking part in book shows, and publishing Buddhist articles, books, and various audio and video recordings. Over the years Venerable Guan Cheng has actively spread the Dharma to educate the public, through writing and publishing, hosting online and radio Dharma talks, and holding chanting ceremonies and retreat events. The Venerable is best known for his long-running radio talk show Sowing Seeds of Good Karma, as well as his regular column in Hong Kong’s bi-weekly Buddhist Compassion. He also has eight published books in Chinese, which include Happiness Originates from the Mind (2003), Purify the Mind and Attain Happiness (2004), A Bouquet of Incense from the Heart (2006), Venerable Guan Cheng speaks the Dharma with you, Commentary on the Heart Sutra (2006), Commentary on the Verses Delineating the Eight Consciousnesses, Commentary on the Diamond Sutra (2018) and Commentary on the Yogacara Bodhisattva Precepts (2018). 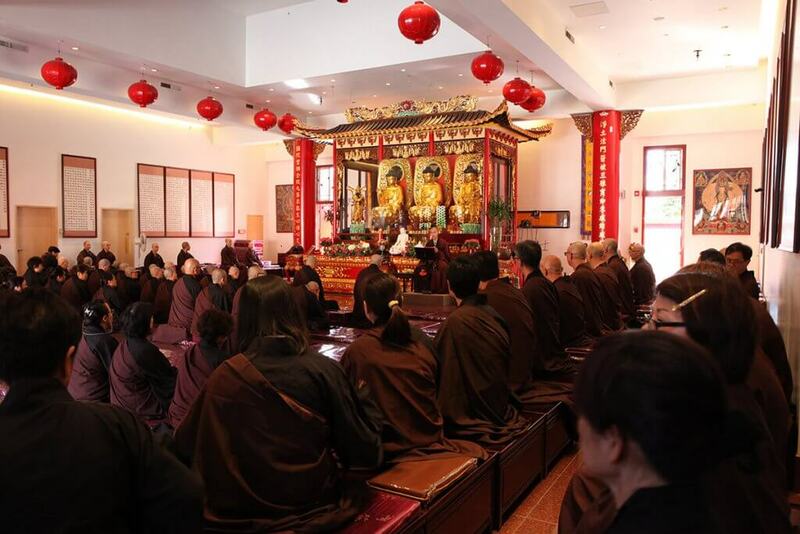 The Venerable has also hosted Dharma lectures, workshops and retreat events for the University of Hong Kong, Hong Kong Polytechnic University, Chinese University of Hong Kong, and for primary and secondary schools in Hong Kong. His insightful and powerful teachings have benefited many in their search for true happiness and meaning in life. The Venerable Guan Cheng is a Certified Management Accountant (C.M.A. ), and holds B.A. and M.B.A. degrees from the University of Toronto. He speaks fluent English, Cantonese, and Mandarin Chinese. 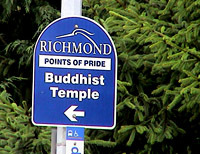 For its spectacular architecture and meticulous workmanship, the City of Richmond acknowledges the International Buddhist Temple as Richmond’s “Point of Pride”. 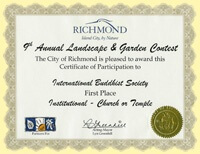 The temple has taken first place in the City of Richmond’s Landscape and Garden Contest for more than 10 years in a row, under the Church/Temple category. The awards gala is held each year at the Gateway Theatre in Richmond. 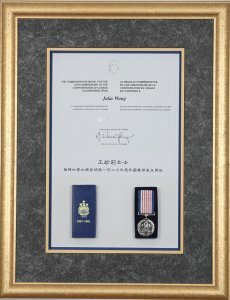 In 1993, the founders of the temple received the 125th Centennial Award from the Lieutenant Governor of Canada, for “Significant Contribution to the Canadian Community”.